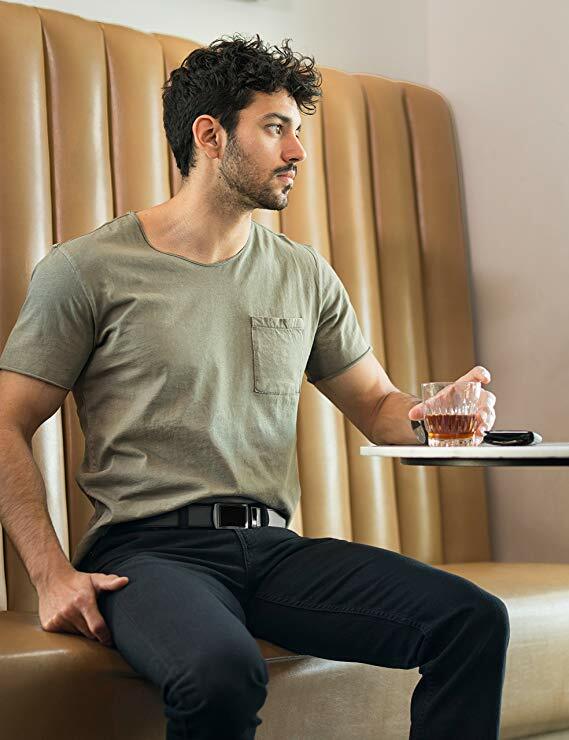 Automatic buckle belts are the new popular trend when it comes to holding up your pants in style. Belts without holes make them more adjustable and ensure that they are comfortable no matter how your waistline expands or contracts after you buy one. These leather belts are 25 off in a one-day-only deal. They come in over a dozen variations: with black, brown and walnut leather options and various belt buckle colors including gold, silver, gunmetal and bar-striped. 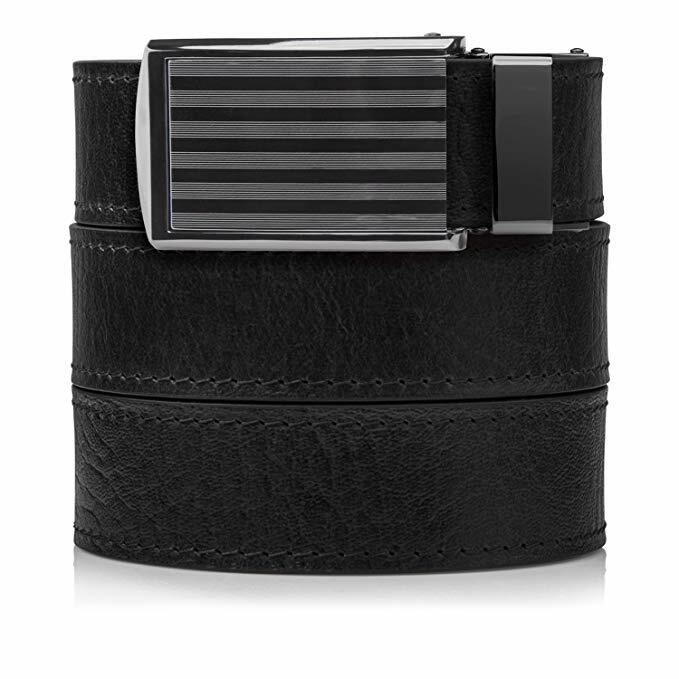 That’s obviously the black leather with bar-striped buckle variant. Check out all the options here.